TonerGreen Offers Eco-Friendly Dell 330-2045 (HW307) Toner | TonerGreen - Eco-Friendly Toners from the U.S.
TonerGreen is an environmentally-concious online store that has been providing environmentally responsible printing solutions such as eco-friendly toner cartridges including quality Dell toner cartridges that are ideally compatible to any Dell laser printers. TonerGreen eco-friendly Dell toner cartridges are much affordable than OEM cartridges but are guaranteed to match its performance - both in print quality and page yield. With our products, we help you save on printing costs and help preserve our environment. TonerGreen offers a wide selection of Dell toner cartridges including the Dell 330-2045 (HW307) high capacity black toner cartridge compatible to Dell Laser 5330dn for $99.99. Our Dell 330-2045 is thoroughly engineered to meet or exceed OEM specifications. All our ink and toner cartridges are backed by 100% Risk-Free Guarantee. Experience ultimate eco-value when you purchase our remanufactured Dell 330-2045 (HW307) toner cartridge: practical environmental solution, world-class service, and the highest quality toner cartridge at the most competitive price. But why consider our eco-friendly Dell 330-2045 (HW307) high capacity black toner cartridge? Well, here are three reasons why: (1) TonerGreen works closely with various recycling facilities in the USA to source our toner cartridges. Our remanufactured Dell 330-2045 (HW307) Toner Cartridge is made from 40-75% recycled parts, (2) our toner cartridges are 100% Made in the US. Our factory is supervised by engineers and experienced technicians who are on-hand to monitor the effectiveness of the remanufacturing process, and (3) TonerGreen is driven by our steadfast commitment to consumer satisfaction. We deploy substantial resources in ensuring the sustainability and durability of our toner cartridges. 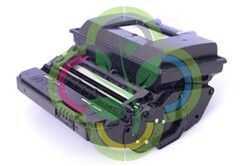 Plus, at TonerGreen.com, each toner cartridge comes with 2 Year warranty. Moreover, we assure you that using our Toner Cartridge will NOT void your printer warranty.